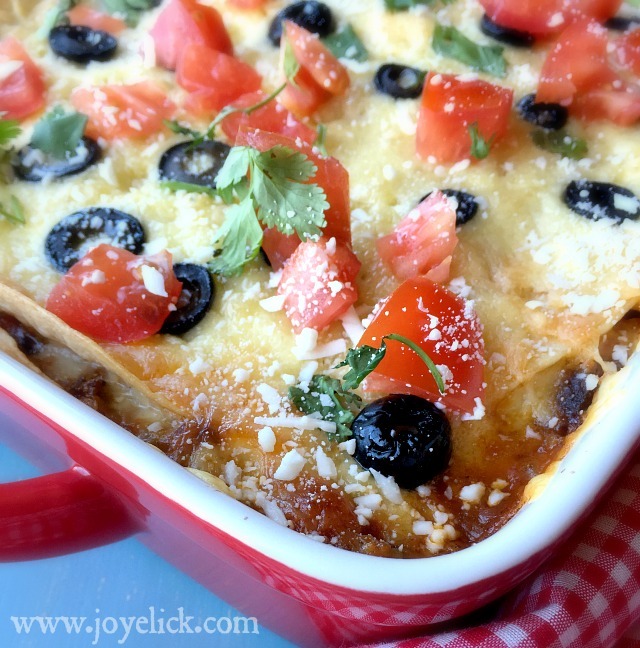 Best layered ENCHILADA CASSEROLE: Easy, delicious and budget-friendly. I wanted, no--NEEDED--to come up with something new to make for dinner. It had to be EASY. It had to use stuff I already had in my kitchen. And it had to be FAST because my family was hungry! 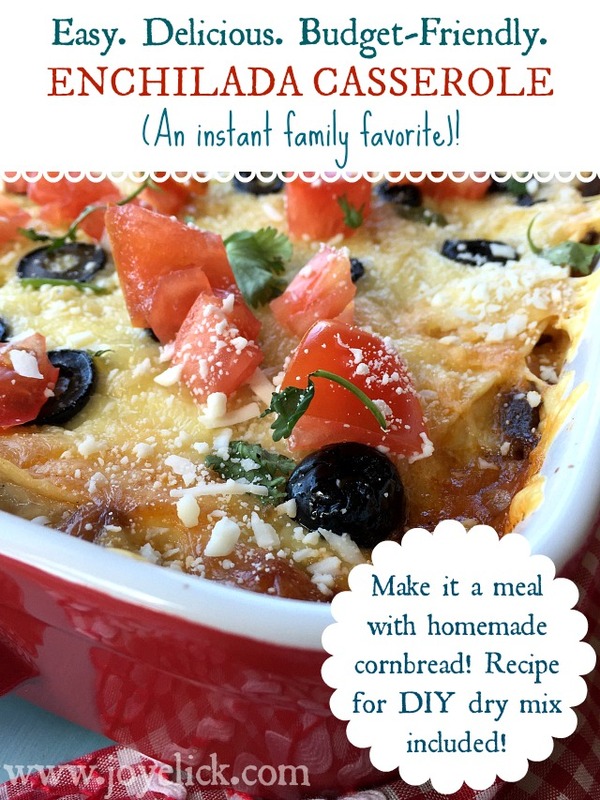 Anyway, I flipped through the book and found a recipe for enchilada casserole (page 16) that looked super delicious. But of course (free-spirit that I am in the kitchen) I chose to modify it a bit. For one thing, I wanted to use my own homemade taco seasoning mix (because it's that good) plus a few other changes. Today, the recipe I'm sharing with you is that adaptation. (I think you're gonna love it)! It's become an absolute family favorite! I've made this dish many times since, and it never ceases to win compliments from those gathered at my crowded little farm table. So are you ready? Yay! Then let's get started! (To make this dish as healthy as possible, I use all organic ingredients and organic pasture-raised beef. 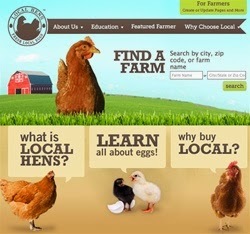 Affiliate links, where provided lead to the actual products I use). Step 1: In a large skillet, cook the beef until browned and no pink remains. Step 2: Season the cooked meat with the taco seasoning. 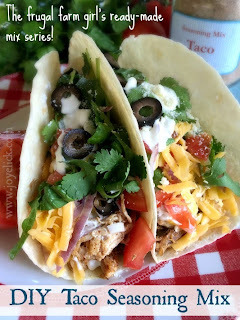 You can find the recipe for my homemade taco seasoning mix here. It's amazing! I like to keep a quart-size jar of this stuff on my shelf always. I use it all.the.time. Seriously. It's perfect. 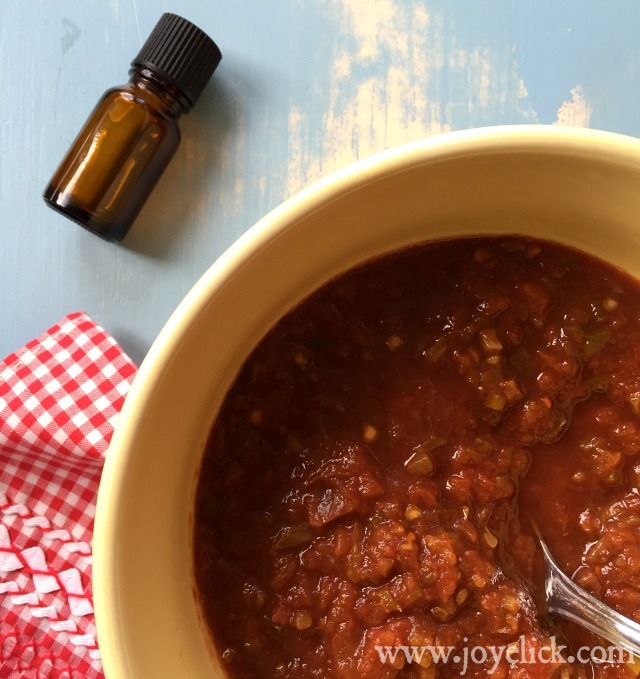 Step 3: Place the salsa in a small bowl and stir in 2 drops of Cumin essential oil. 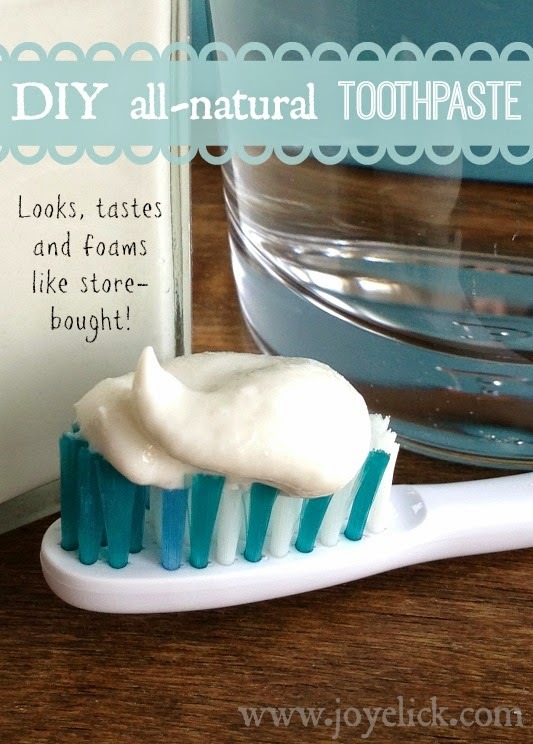 (If you don't have cumin essential oil, you can use 1/4 teaspoon dry cumin powder). Note: I use only high quality, pure therapeutic grade essential oils. Click HERE for information on what company I buy my essential oils from. If you're curious about buying these oils at wholesale prices, click HERE. If you'd like to talk to me personally about any questions you have regarding getting these oils, click HERE to send me an email. 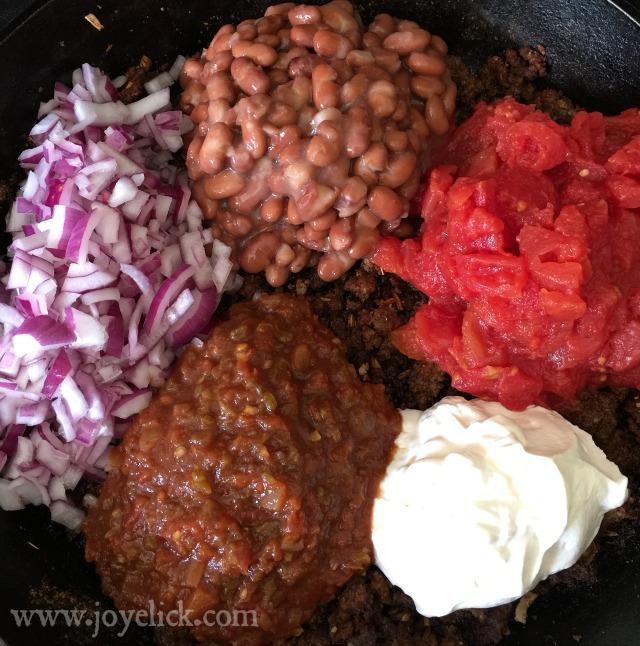 Step 4: Add the beans, diced tomatoes, sour cream, salsa with cumin, and chopped red onion to the seasoned meat. Stir it all together right there in the skillet. Step 6: Bake casserole for 35 minutes at 400 degrees, or until cheese is bubbly and slightly browned. Remove from oven, wait 5 minutes, then top with diced tomatoes and chopped cilantro before cutting to serve. Make it a meal with cornbread! 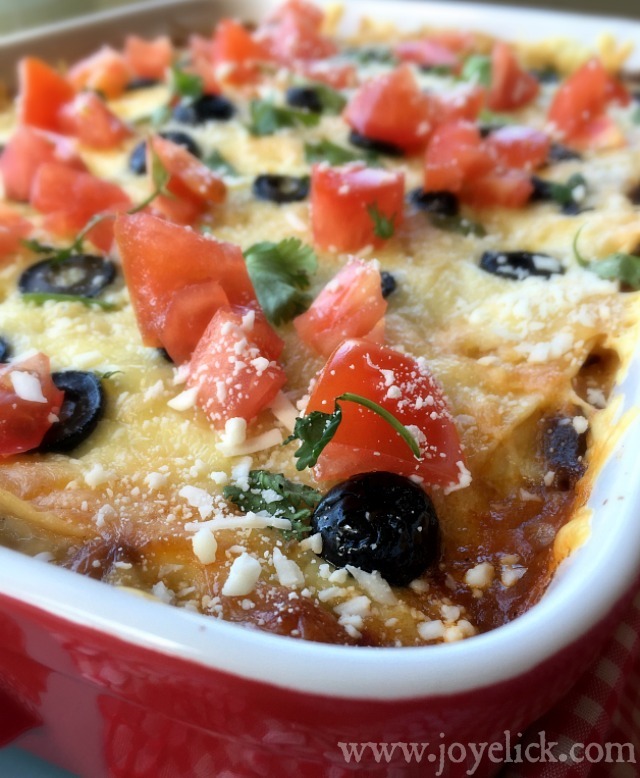 What goes better with enchiladas than cornbread? 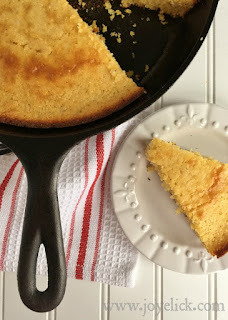 My cornbread recipe is very popular! It's one of the dry mixes in my DIY ready-made mix series. You can make it ahead and keep it stocked in your pantry. When you're ready to throw dinner together, just follow the easy instructions on the printable label (you'll add a couple wet ingredients), then bake. Before you know it, you'll be serving some of the tastiest cornbread your family will ever eat. I can't count how many church friends and family members have told me this is the very best cornbread they've ever eaten. Enjoy! 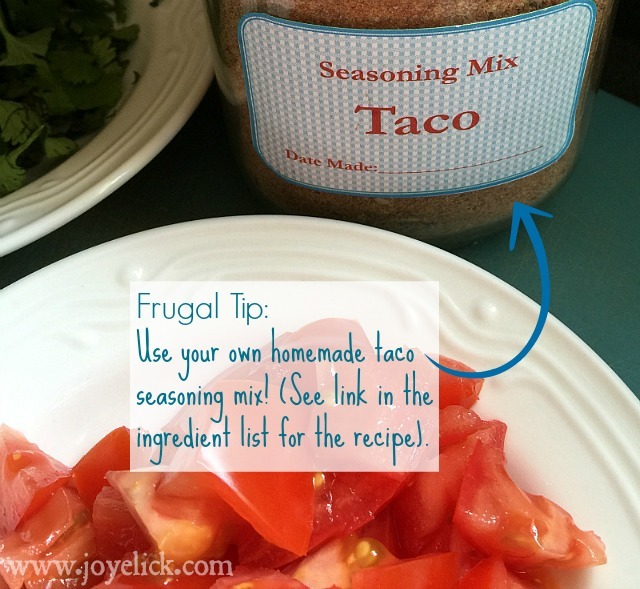 Want to try making your own taco seasoning too? 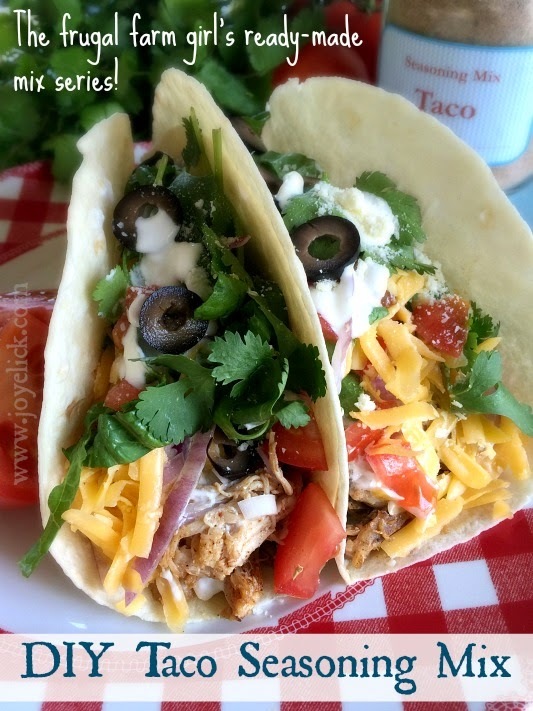 I use my homemade taco seasoning mix for so many things! It's easy to make. Check it out here. 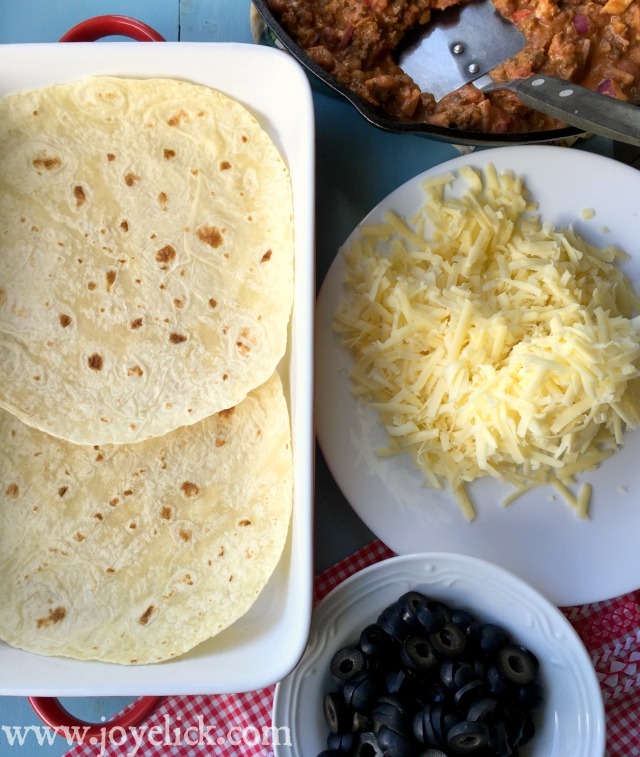 Let's chat: What's your favorite Mexican dish? What tricks do you pull out of your sleeve to make it easier at meal time? Do share! I'd love to hear about it in the comments below. It looks delicious. I hope that I'll make it right. Thank you for those ideas. I hope that you'll add more materials in the future. Wow looks absolutely delicious. So glad you kept all the ingredients organic making the dish healthy as well as yummy. I cannot wait to try this out for myself, looking forward to more recipes from you! Just like you, I try to use natural organic products, some of which I grow on my own in my garden.